I'm a big fan of messy foods. Give me a poncho, a pack of wet-naps, a judge-free zone, a pile of messy chicken wings and I'm a happy man. On the rare occasion though, I like to go sauceless and instead opt to throw together a simple dry rub for my grilled chicken wings. 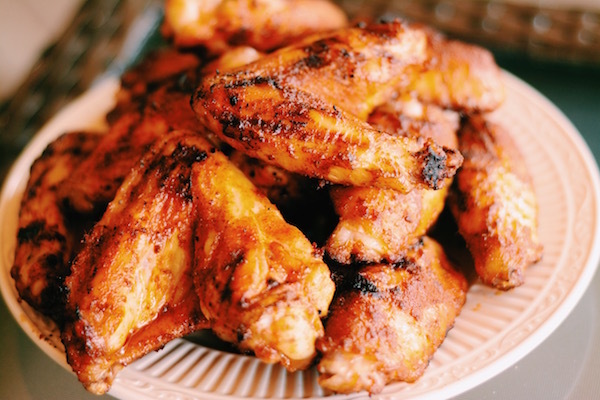 This simple dry rub gives the wings a nice balance of smokey, sweet and spicy and can be thrown together with ingredients that I usually have in my pantry. 1Preheat your grill to medium heat. Looking for about 400 degrees. If you are using a charcoal grill, pile all of the coals to one side of the grill so that you have hot and cooler sides of the grill to work with. 2Cut the wing tips off of the chicken wings if they are still attached (you can't really eat those). 3Rub the chicken wings on all sides with a generous amount of the dry rub. 4Once the grill is up to heat, place the wings on the hot part of the grill. 5Grill with the lid closed, turning occasionally to crisp up the skin and create some great color. 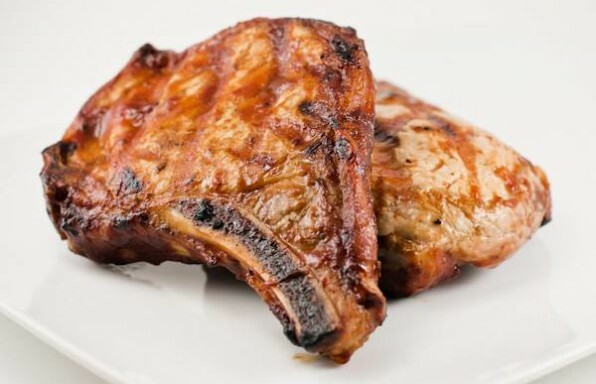 There is a lot of sugar in the dry rub, so make sure you don't char them too much. Move the chicken wings to the cooler side of the grill and continue to grill with the lid closed if they are getting too charred. 6Grill the chicken wings until a meat thermometer reads 165 degrees without touching the bone with the temperature probe. Easy-delicious. Great rub for all chicken! Yep!!!!!! No need to look any further!This is a fantastic rub for grilled chicken wings! Good rub, made in oven. Cooked 350 for 20 mins then flipped for another 10. Finished it off on a low broil for 10 mins towards middle of oven instead of right under heat. Added a little dried mustard to the recipe to play of them sweet, spicey and tangy a bit. Great rub for wings. Smoked at 250 for about an hour. Then raised temp to 400 to crisp up skin. Great rub for wings! Cooked at 250 on smoker for about an hour. Then raised temp to 400 to crisp up skin. Good rub…. Will do again. Due to sugar in rub do low and slow to avoid burning. Very tasty! Good rub…. Will do again. Due to sugar in rub do low and slow to avoid burning! Try adding some salt and vinegar popcorn seasoning to the mix for some zing. Also maybe try fully cooking the wings first, then tossing in the seasoning before serving. Made these tonight. My Wife & I thought they were AMAZING!! Definitely will be making these again. This recipe is absolutely off the hook! Best wings I have ever eaten. Just the right amount of heat, nice and crispy on the grill. Awesome! Great rub. I forgot the salt and didn’t miss it. It was my first time doing wings on my own; I’ve been missing out! Goina put 60 lbs in the smoker in the morning with this on them , thn goina flash fry them for crunch. It was raining the day I wanted to make these so I used my oven at 400 degrees. They turned out fabulous! I used a rack over a foil lined cookie sheet to keep them from being soggy. It worked perfectly. Very easy and tasty wings, but be sure to cook them low and slow because they burn easily from the sugar in the rub. Not able to pin to Pinterest. It says it has invalid prrameters and needs a photo to be uploaded. Looks good tho!